The UKNFS is an INGO [International Non-Governmental Organisation] registered as a not-for-profit company with charitable objectives with the UK Companies House, and is in the process — Summer-Autumn 2015 — of registering with the UK Charity Commission. Please also see our Constitution Page that details our our organisation Objectives: the page also includes UKNFS . Alan was in conjunction with Ram Hari Adhikari, co initiator and with him co-founder of the UKNFS at its very earliest stage and is operational lead and executive director for the organisation in the UK: particular remits being for equality, multicultural learning/education and international academic and related partnerships development, arts, representation/lobbying. Formerly a Trustee/Director of the Dorset Race Equality Council, and now its Organisation Development and Education Officer where he also works in the area of advocacy. He was 6 years ago founder of a Dorset-based multicultural learning society [OCES], and has been an Advisor to the Bournemouth University Chinese Students and Scholars Association [CSSA] for the past three years, playing a key role in reestablishing the CSSA at Bournemouth University from 2010. Alan is also a professional artist with an international reputation in fine art drawing, and is the initiator and Lead Officer of the UKNFS Nepal International arts Programme [NIAP]. He is an editor, proofreader, and article writer. He is a passionate and very active advocate of inclusive values and has a ‘One World Vision’ with an established record at a national level for combating prejudice on grounds of race and other — LGB&T — forms of discrimination in: he leads within the UKNFS on equality, diversity and anti-discrimination issues. 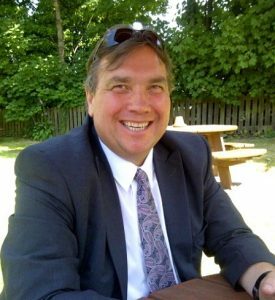 Alan’s academic background is in history (University of Kent: BA Hons), he has a Masters level certificate in research skills (Bournemouth University) and City and Guilds in teaching. He is an English language editor, proofreader, and also writes articles with newspapers and journals such as the Kathmandu Post, and Nepali Patra. He is a person who shares predominantly Buddhist and East and South Asian philosophic perspectives upon life and as such deeply appreciates the interconnectedness of world cultures and inclusive values. 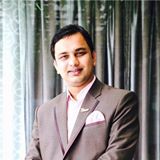 Arjun Katuwal is a financial professional, registered auditor & book keeper who has specialised in accounting, taxation and auditing sector. He worked in various roles as an Accountant, Auditor and Manager of Private and Public companies. In the UK, he worked as an accountant in U-Turn Management; also he was a Project Manager of Debtors Association London (Registered Charity) and Proprietor of A K Katuwal & Co. (self-employed consultancy business). Mr Katuwal is a life member of Nepal Red Cross Society; he is an executive committee Member of NRNA UK and a member of various professional bodies and local societies in Nepal and UK. He is from Udayapur, Nepal and currently and lives in London with his family. Arjun joined the UKNFS in 2013 and is the society Treasurer & Project lead of Nepal Air Ambulance Initiative. My aim to join and work in this organisation is to establish strong friendship between Nepalese and British citizen, to share and transfer knowledge and technical values which is beneficial to both societies (Nepalese & British), will work very hard to achieve UKNFS’s vision & objectives. UKNFS officer/advisor for healthcare provision organisation management and related research and projects. Dr Jib is one of the founder members of the UKNFS at the time of its inception by Ram Hari Adhikari and Alan Mercel-Sanca. He has successfully completed a PhD degree from Bournemouth University, England, and has interests and specialism in fundraising, development of the healthcare project, research mainly in the field of public health nutrition. His PhD research project entitled Knowledge, attitudes, beliefs and behaviour of mothers of young children related to healthy eating: Comparing rural and urban perspectives in Nepal. During his study at BU, he also served as a student representative (2014-15) where he experienced coordination between a group of the students and management authorities of the University. He has also attended several national and international workshops/conferences such as the World Congress of Nutrition, Micronutrient Forum Global Conference, the Nutrition Society Conference and etc. during the PhD study. Besides this, he has published journal articles and conference papers in nutrition-related issues of Nepal. He was awarded by the Global Supplementary Grant-OSF(Europe) (for the year of 2012-2013 and 2013-2014), Sight and Life Scholarship (2011-2015), Santander Universities mobility award (2014) and) and the British Council award (2014). He has discovered a new knowledge and added to the literature. The new knowledge termed ‘diversified views’ which is one of the major barriers to recommend a health food to the preschool-aged children in Nepal. Besides this, Dr. Acharya has developed the ‘3P awareness strategy’ which is one of the most powerful tools to increase the level of awareness for the community people. After nearly 30 years as an educationalist in Scotland, James Lamb combined his love for outdoor adventure and photography to become a professional landscape photographer. 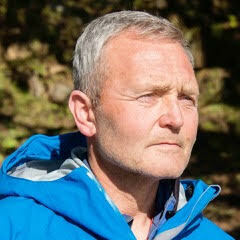 James has walked and climbed extensively all over the UK, Europe, USA, Canada and Nepal. In 2014 he established a trekking agency in the Nepal Himalaya with Tashi Lama, a Buddhist monk. The agency aims to increase local employment, with the profits funding a local charity, The Little Sherpa Foundation. When the first earthquake hit Nepal in April 2015, James was in the Himalaya filming for The Adventure Show (aired on the BBC in September 2015). Filming continued when the camera crew and producer accompanied James back to Nepal to see first-hand how the people featured in the initial programme, were rebuilding their lives, both physically and mentally. James in addition to playing an important part in development of aspects of UKNFS projects, especially cultural tourism, will be helping to develop the UKNFS in Scotland, including development of strategic relationships across a range of important domains. 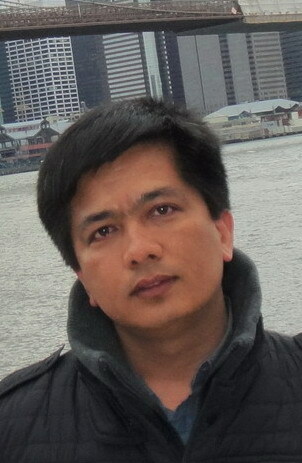 Mr Naresh Khapangi Magar is the Executive Member an Media Officer of UKNFS. He was born in Taplejung of Nepal and now has been migrated to London in the UK. He has done his master in Journalism ( MA) from TU. He is now serving the Federation of Nepali Journalists in UK as its general secretary. He is now the sub editor of the ” Europeko Nepali Patra Weekly” and has been associated with the Gorkhapatra Daily of Nepal for last 8 years as well. He has extensive experience in research journalism on the Janajati issues of Nepal. 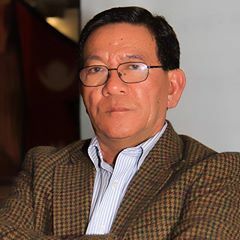 He aims to serve the UKNFS by his good network and skill on mass communication and highlight the socio- economic issues of the Nepali community in the UK. Strongly supportive of the values and vision of the UKNFS, Rajendra is a PhD scholar at the London School of Economics [LSE] and has research interests in the field of public health provision. He is currently undertaking research into economic evaluations of different mental health interventions such as CBT for employees, mental health awareness training and resilience training for managers in the workplace settings, and is a Life Member of the Nepal Public Health Professional Council and the Nepal Public Health Association. Born in Gulmi, Nepal, A leading entrepreneur in the UK. Highly accomplished in the restaurant and hospitality industry with progressive team building and management skills. An adept leader of large and diverse teams with exceptional communication, multi-tasking, organisational, and motivational skills. Past experiences, and vivid curiosity for different cultures and departments within the hospitality industry, has lead me to a professional stand point in my career, bringing together creative ideas with the level of expertise to achieve such success. Coming from a hospitality background and after graduating in Business Management in the UK, I added further experience managing some of London’s top Michelin Star restaurants. By working with the ‘giants of the industry’, Running restaurants and hospitality soon became, and still remains, my passion. And now we have chain of Everest Inn restaurant in the UK. I am also a very active figure in the UK Nepali community, strongly involved and supporting many initiatives that benefit the community, including fundraising. This voluntary work for those in our Nepali community allied with my business advisory skills are put to the service of the UKNFS with its important projects that strengthen the Nepali community voice, and constitute important work for Nepal-UK relations. I am delighted to support the society! Ganash Panday, Nepal’s award-winning journalist and documentary filmmaker, who has made history in Nepal through to date winning 15 international awards around the world, has been appointed UKNFS in Nepal Coordinator. 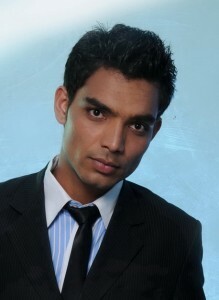 Ganesh is also a Board Member of the UKNFS. Min came from Kaski Pokhara Nepal. He joined the British army in 1986 and retired in 2003. Over Seventeen years he served in the British Army 6 Gurkha Rifles then 1st Gurkha Rifles served in Hong Kong, Brunei, Belize, Singapore, UK, Germany, Cyprus, Belgium, USA, Bosnia visited more then 25 country. He settled in Aldershot with his wife Sharada and two daughters Minsa and Saleena. 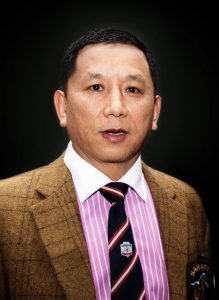 For the past 15 years he has worked as a volunteer on various charitable organizations such as British Gurkha welfare society UK, NRN UK, Tamu Dhee association UK and is currently President of Sahara UK and Director of Gnergy run by British Gurkha in Farnborough. He has actively worked with the Bristish Gurkha welfare society for Gurkha settlement Wright since 2004. Advisor at Tamu Dhee UK Association, and former headteacher with particular interest in preserving and detailing the history and culture of the Gurung peoples of Nepal and the UK. Dr Davies is highly experienced in the international domain applied to evolving political market opportunities, arising nationally and globally for his clients. With a speciality in the development of such markets through the evolution of private sector led collaborations with the public sector. He is also committed to using his international strategic experience with the community to help integrate community diversity with government agencies and strategy. Having a defence background, Dr Davies understands the bi-lateral strategic importance of the 200 years relationship between the UK and Nepal in practical community and business development between our two peoples. 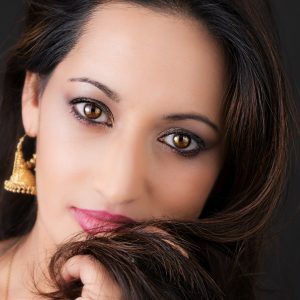 Sarah Ali Choudhury: Sarah, is our UKNFS PR ambassador, specialising in areas of support to the organisation relating to her nationally renowned expertise in cuisine (Sarah is a nationally renowned celebrity TV chef [My Kitchen Rules: Channel 4] and award winner). She is a strong supporter of the multicultural equality and social inclusion values at the heart of the UKNFS. Read more …. Dr Michael Brown: Michael is a specialist in development communication and participatory project facilitation. He made his first trip to Nepal in 1988, and subsequently lived in Nepal for six years, working in social development. He completed his PhD in Nepal working with disadvantaged communities, using ‘participatory film-making’ and ‘theatre for change’ methodologies to support people to have a stronger voice in the discussion of issues affecting them, leading to positive social change. 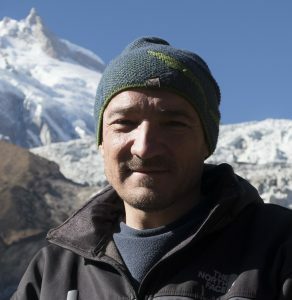 Fluent in Nepali, Michael continues to work regularly in Nepal, facilitating participatory community projects and making documentary films on social and environmental issues. Following Nepal’s civil unrest, he documented the psychological impacts of conflict on people, and utilised his film to secure two-year funding from Irish Aid to enable a local Nepali NGO to develop trauma support services. This project culminated in a unique ‘Community-based Psychological Trauma and Treatment’ model bespoke for Nepal, but transferable to other communities and contexts around the world. It is being used as a main case-study by Professor Kathleen Hargan, Department of Health and Human Services at Contra Costa College in California. Michael has also facilitated the use of participatory radio in Nepal, working with a local FM radio station who trained a children’s group, and domestically-abused women, to present their own twelve-week radio phone-in shows, where they discussed the issues affecting them and interviewed key people to raise awareness and promote positive social change. ‘Disability and Development’ is an educational resource developed by Michael and linked to the post-primary school curricula in the UK and Ireland. It consist of seven films, made around the world with children experiencing disability caused by their life situation, including two stories of spinal injury in Nepal with girls falling from terraced fields. A range of lesson plans allow pupils to understand the lives of children around the world and to gain greater awareness of humanity and a broader ‘worldview’. Recently, Michael spent a year filming the story of Nepal’s working mules, vital to the local economy and people’s livelihoods. The ninety-minute documentary called ‘Khacchad’ begins with the mules’ birth in India, and their subsequent journey to Nepal to work in brick factories and carrying goods into the high himalayas. The film is being used in Nepal, and on the international stage, to promote better legislation and practice to protect the wellbeing of working animals. 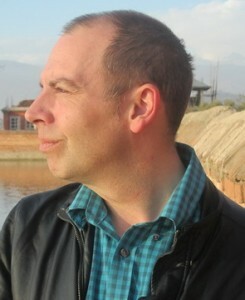 Other issues that Michael has made films on in Nepal include; Hospice Nepal – pioneering end-of-life care; how Disabled Person’s groups collaborated to ensure the Nepal Government signed and ratified the UN Declaration on the Rights of Persons with Disability; and two films showing a day in the life of child workers. Michael’s films always have a context, be it for the empowerment of marginalised people, for advocacy towards policy change, the sharing of lessons learned that others can adopt, or for use in formal/non-formal education. Michael brings all his past experience to the UKNFS which we hope to utilise both within Nepal and internationally. The UKNFS in Nepal Coordinator is Ganesh Panday ji (also a UKNFS Board Member), internationally renowned news journalist and documentary film-maker. ‘Mr Panday’s values in support of fairness, human rights, and inclusion, his great experience, expertise and renown bring so much to the vision and perspectives that characterise the UKNFS as it begins to develop in Nepal in the second half of 2017. Through the post the UKNFS has in Mr Panday an exemplary ambassador for the currently developing UKNFS in Nepal, whose initiatives are informed by inclusive values, providing Nepali solutions to Nepal’s needs and which, it will be seen, develop and profile the nation and people’s great strengths and still under-realised resources. …. read more. In the 2012 – 2013 period an initiative was launched to establish a parallel chapter of the UKNFS in Nepal, and much valuable work was undertaken at that time through in particular the initiative of Basanta Adhikari ji, Uttam Bhlon Lama ji, Bikesh Shresta ji, Pemba Tamang ji, and others including Sajjan Lamchane ji. However at that time — 2012/2013 — the core UK-based UKNFS (the UKNFS being a registered not-for-profit company with charitable interests under the Companies House regulatory regime) was still in a stage of development, and transitioning from a very important concept, to what it has subsequently become, a projects-focused organisation. As such there was not the practical base for registering a UKNFS chapter in Nepal during that time, and there were some questions around aspects of the proposed name for same. Nevertheless it is certain that but for the illustrious names above, taking pioneer roles, the UKNFS itself as it has subsequently developed, would not have been so effectively established as a name introduced in Nepal. Mr Tamrakar has an established record for film work in Nepal. He has been the principal reviewer of the Nepal International Arts Programme, initiated by UKNFS Executive Director Alan Mercel-Sanca, and in this role is a primary ambassador for the programme’s supportive international level profiling in the areas of fashion, theatre, modelling. 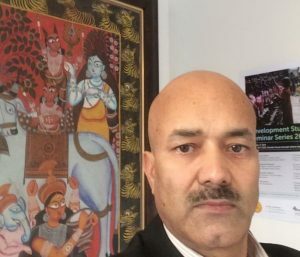 Dr Rajeeb Kumar Sah is our equality in health and social care project Team Lead / national coordinator for UK Nepali community engagement and research. He is originally from janakpur, a terai city in Nepal. He is a trustee at “Nepal Village Foundation”, project director and editor at “South Asian Sexual Health” and PHD scholar at the Canterbury Christchurch University, UK. 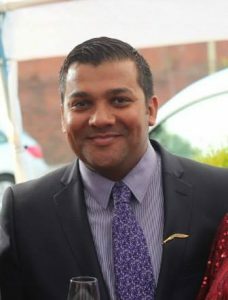 His PHD research focuses on exploring social and cultural issues affecting sexual health of Nepalese young people living in the UK. His aim is to understand the intergenerational differences among parents and their young children and provide impetus to improve health and wellbeing of Nepalese population. Dr Sah is an MD in General Medicine, MSC in Public Health, has a Post Graduate Certificate in International Relations and Globalization and Diploma in HIV/AIDS. He has several years experience of working with minority ethnic groups, marginalized and disadvantaged communities in the UK. His research expertise and area of interests are medicine, public health, maternal and child health, sexual and reproductive health, HIV/AIDS, social determinants of health and health inequalities.He has worked with young people, women, children, and other vulnerable communities in the UK, Nepal, India, Georgia and Turkey. He has authored a book titled “Parental attitudes and beliefs towards Childhood Immunisation”. Dr Bibha Simkhada has a BA in Nursing, PhD in Public Health from UK. She joined the UKNFS in 2013 and took position as a Research Lead (PI) in Health and Wellbeing of Nepalese community living in the UK project. Dr Simkhada is responsible for overall management of this research project. Previously, she worked as a registered nurse and a public health researcher for several organisations. She has extensive experience of working in health care environment and public health research in UK and Nepal. She has published several papers and is a reviewer in many international peer reviewed journals. Her key interest is in Improving BME Community Health, Health Inequality, Reproductive Health and Systematic Review. She has been involving in different projects and evaluation of public health program on maternity care, uterus prolapse and elderly care in Nepal. She is highly committed to improve health of Nepalese community living in UK. Andrew is a Founder Member of the UKNFS, creator of the society’s logo, and its original website, and subsequently our lead for IT guidance with our our online presence, including IT advisor the UKNFS’ NIAP and for aspects of online marketing. continuing online. He is a teacher at Bournemouth University where he is also undertaking a PhD. His role in the UKNFS has been pivotal to the success of the initial development of the organisation, and his interest in and love for Nepal and its culture (especially film and aspects of contemporary life) very deep. Ms Srijana Thapa (the first Treasurer of the UKNFS, and one of the lead officer in establishing the society Women’s section of that time), Dr Laxmi Ghimire (founder of the society Health and Well being section), Mrs Anita Joshi Bomjan (founder of the UKNFS Women’s section), Mr Tulsi Prasad Phuyal (the society’s original Dorset area first Community Contact/Liaison Officer), Mr Seb Gray (one of the four original supportive co-founders — after Ram and Alan — of the group that came together prior to formally establishing the UKNFS) and Ms Laxmi Tamang (one of the UKNFS’s first international relations advisers).